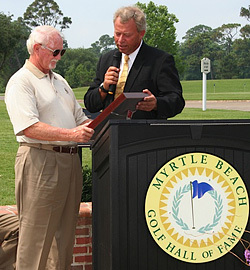 Paul Himmelsbach and Charlie Byers were were inducted into the Myrtle Beach Golf Hall of Fame on Tuesday June 21, 2011. The ceremony took place at at Pine Lakes Country Club. 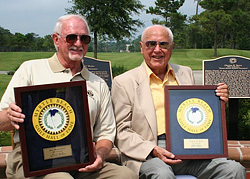 Both men were honored for their contributions in developing the Myrtle Beach area into a major golf destination. 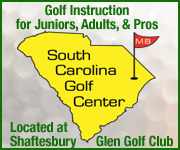 Himmelsbach, 71, is known for founding On the Green Magazine and, with friend and business associate Marvin Arnsdorff, co-creating the Golf.com World Amateur Handicap Championship that draws golfers from all over the country and the world to the Myrtle Beach area at the end of every summer. Himmelsbach partnered with his brother Jack to form Himmelsbach Communications, which also publishes On the Beach Magazine for general tourism. 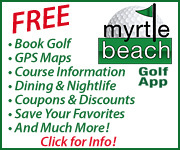 In the past Himmelsbach Communications created a special supplement that appeared in both Golf Digest and On the Green twice a year to promote Myrtle Beach golf. In addition, Himmelsbach is known as a golf course developer. With his partners he created The Glens Golf Group, which includes courses like Heather Glen Golf Links (which was recognized in 1987 by Golf Digest as the top new course in America), Glen Dornoch Waterway Golf Links and Shaftesbury Glen Golf & Fish Club. 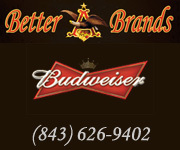 He is also a partner in Wicked Stick Golf Links and Rivers Edge Golf Club. 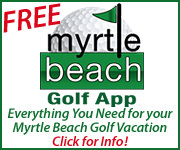 Byers, 93, moved to the area in 1947, and has been a partner in the building of seven Grand Strand golf courses, including the Surf Golf and Beach Club in North Myrtle Beach in 1960 while helping to spread the growth of golf along the Strand. He was also involved in the building and opening of Sea Gull Golf Club (which has been redeveloped into The Founders Club) in Pawleys Island, Quail Creek Golf Club in Conway, Burning Ridge Golf Club west of the Intracoastal Waterway and Indian Wells Golf Club in Murrells Inlet. He seemed to specialize in developing courses on the outskirts of Myrtle Beach and stretching the breadth of the area’s golf appeal.